At San Diego, you will always find a perfect weather when hosting an event. 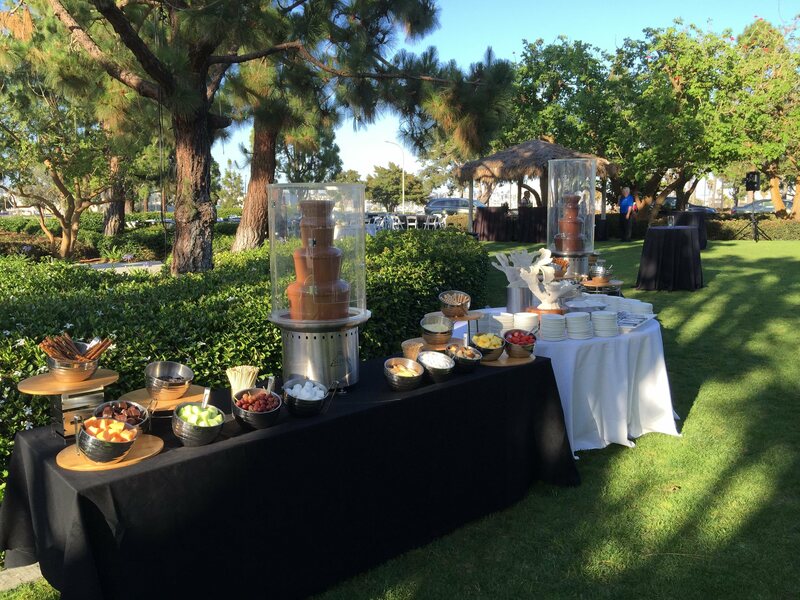 Meeting outdoor is comfortable and enjoyable, and adding a chocolate fountain to dessert option is a great idea. 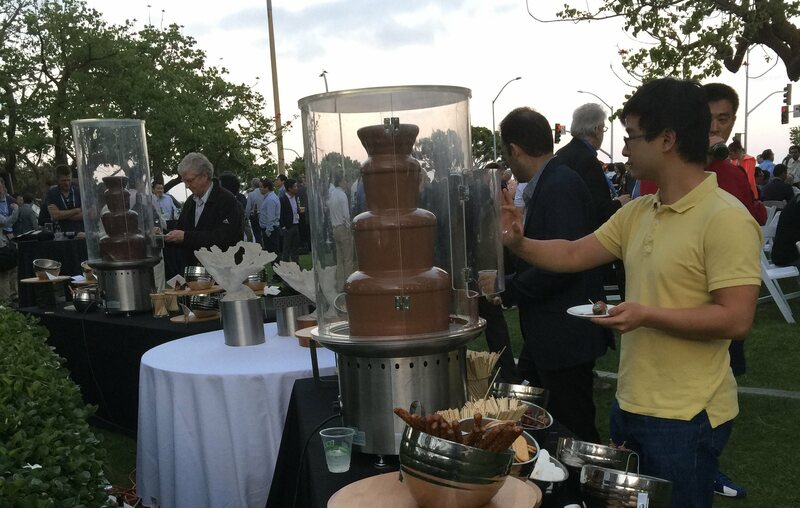 Some vendors do not recommend to serve chocolate fountain outside because of the wind. 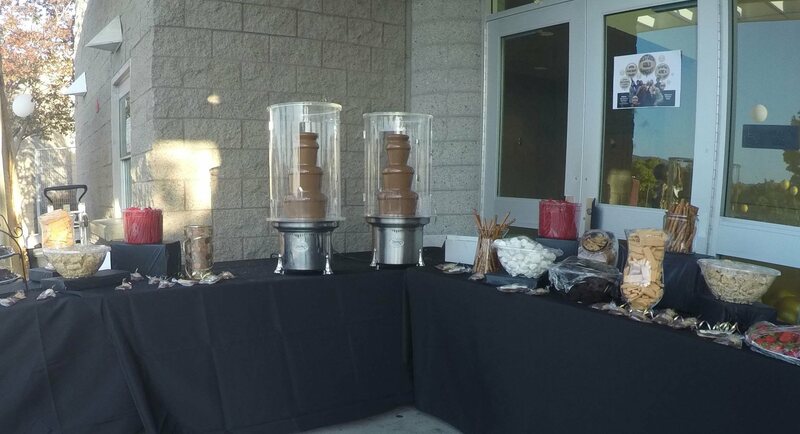 But with Chocolate Fountains of San Diego, we can provide the solution with a “sneeze” guard (or wind guard) protecting the fountain so that the guests can enjoy a stable and clean chocolate flow cascaded from the fountain. 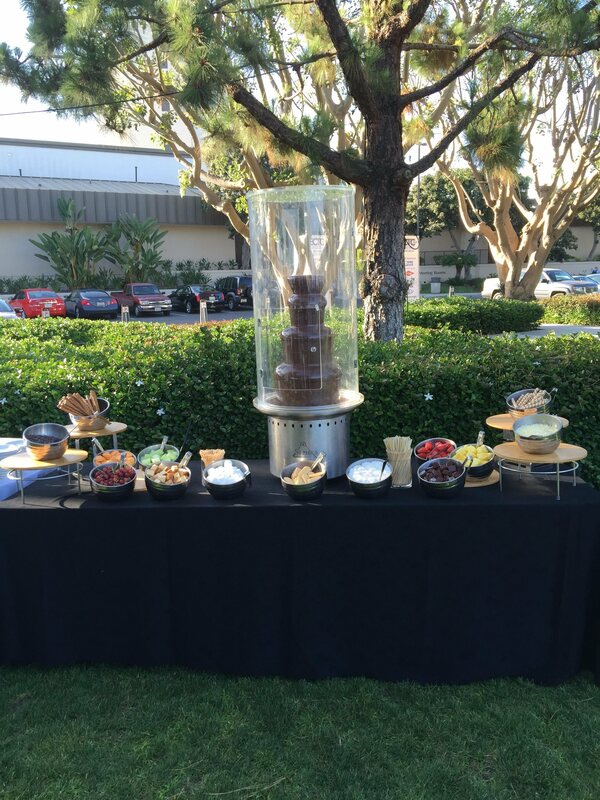 Chocolate Fountains setup for an outdoor party hosted by a respective hotel at San Diego harbor.